And they will likely be here for a long time. In a separate, August 2018 article, the Associated Press noted: "ICE's average length of stay in immigration detention is about 40 days, while the average length of time for immigrants not in custody to have immigrant cases on court dockets is more than eight years." Now that Ms. Hernandez and her family have an equity in the United States (their newborn child), their stay is likely to be longer. Nor is Hernandez alone. Specifically, the December 6 Associated Press article stated: "Scores of pregnant women traveled with the caravan through Mexico before reaching the U.S. border." It is unclear at what stage of pregnancy those migrants are. The Centers for Disease Control, however, has an entire website page dedicated to "Pregnant Travelers", and the precautions they should take both prior to and while traveling. Implicit in that web page is the proposition that those women will travel by air, at least to their destination country. 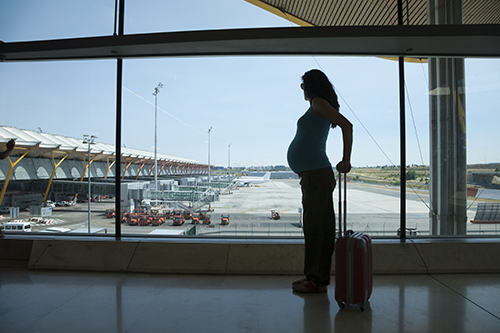 It does not even discuss the proposition that a pregnant traveler would walk (or walk and take a land vehicle) more than 1,000 miles through sections of a foreign country that range from urban to underdeveloped. In Pijijiapan in the southern state of Chiapas, Dr. Jesus Miravete, who volunteered his services in the town's plaza, said he treated a few dozen pregnant women, including 16 for dehydration after being on the road for weeks. Pijijiapan is hundreds of miles away from Tijuana. One can only imagine how much worse the journey was for those travelers from there. As I noted in the Backgrounder on birthright citizenship, there are legal arguments against the proposition that all children born on U.S. soil, and in a particular children born to aliens illegally present, are automatically granted U.S. citizenship. To turn off this particular magnet, the Trump administration and its Justice Department may want to explore those arguments.